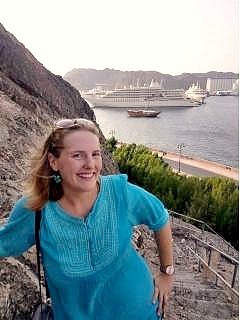 Brooke Templin is a female expat in Oman who is beginning her second year of teaching in the city of Muscat. I interviewed her about her life and what she’s learned about Omani culture. She has some very enlightening insight to share. Q. How did it come about that you began life as a female expat in Oman? Was it the teaching job that appealed to you or living in the Middle East that appealed to you? A. To be honest, I had never even heard of Oman until I started applying for jobs in Dubai. I contacted a Middle East recruiter as I knew that this was the area I wanted to be in. I had been teaching in Asia (China and Vietnam) for three years at this point, and was ready for a different lifestyle while still continuing on in my teaching career. I wasn’t feeling the desire to move back to the States, and I had friends in Dubai and Bahrain who I had visited during the Vietnamese Spring Festival and loved the place. The Middle East recruiter however, helped me apply to this one school in Muscat, Oman. Very few people I talked to had ever heard of the city or the country, but those that did had only positive things to say. 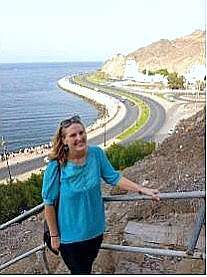 So, knowing very little beyond hearsay and Wikipedia pages, I accepted the job teaching in Oman and am so glad that did! Q. What made you decide to return for a second year of teaching in Oman? A. Short answer: I liked my job and was tired of packing a suitcase. Long answer: The nomadic lifestyle I had been living for the past three years was getting pretty tiring. I didn’t always enjoy having to pare my belongings down to the one free checked baggage requirement. The summer before I began my job in Oman I bounced around to four countries in two months (Italy, Egypt, UK and USA) lugging my whole life in a suitcase around each time and just dreaming of the day I could finally unpack. Some people have lived in a suitcase for longer, and I give them credit, but I actually enjoy routine and having a place I call my own- I wanted a base, a place to kind of unpack and settle for a bit. The hustle and bustle of Asia always made me feel exhausted, and the fact that while living there I was always looked at or treated like some kind of celebrity/freak show meant I never felt fully included. In China and Vietnam, I could never really feel settled. But as soon as I got to Oman, I had a different feeling. Here, there are so many foreigners, that a blonde American like me is nothing to bat an eye at. I can wear what I want (within reason) have an active social life, go to church (a big important thing for me I couldn’t do previously) all while saving some money and still traveling. Plus, I loved my job and was excited to hone my practice in my second year at the same school. Q. 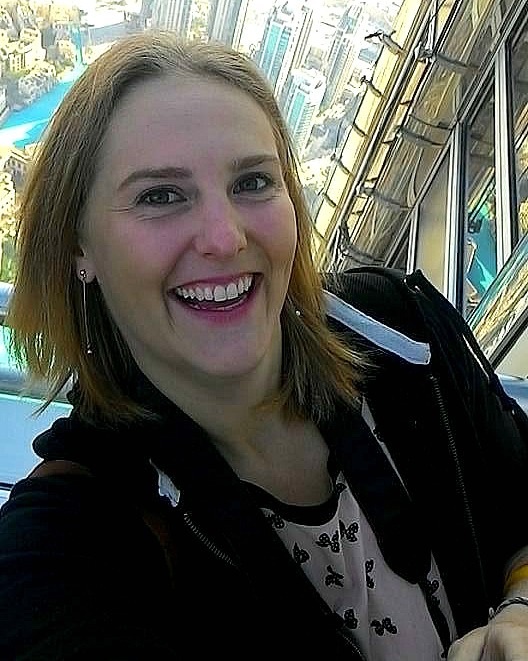 Do you find that living as a single, white American woman in Oman is safe? A. 100%, absolutely safe. Actually, I think this is the safest place I have lived in so far. In China, I couldn’t communicate with any police officer if I was ever in trouble, and there were a couple times where my friends and I were very lucky to come home from certain areas at certain times, unharmed. In Vietnam, I was robbed twice (once from a break-in). As of one year living as a female expat in Oman, I have never been robbed or harmed. One time I got some creepy comments from a taxi driver, but he dropped me off and I returned home as if from any other fare. The thing is in this city Muscat I do not stand out, because there are many foreigners. Also, being a single woman can sometimes be to my advantage – like when my car got stuck in the sand and a carful of young Omani men came to dig it out. (literally, DIG it out) It was only myself and another female friend, in more revealing clothes than I’m sure these guys were used to, but they simply helped me get my car out, told us to have a good night, and drove off. Didn’t stay to chat or try to get our numbers or anything. Other female friends have had similar experiences of receiving help with no ulterior motives. Generally speaking, Omanis are just kind, helpful people and that is why I feel perfectly safe here. Q. How do you dress as a female expat in Oman? Do you wear clothes you would wear at home in the US, or do you dress more modestly? A. Oman is an Islamic country, so men and women do have to be a little more conscientious. Omani women generally wear the abaya and hijab, but this is by no means forced on the Westerners. We can wear what we want, within reason. By that I mean, you can wear a bikini on the beach. You should not wear a cocktail dress at the mall. Shorts on women should be a least mid-thigh. Don’t let underwear show or bras hang out. Tube tops and see-through outfits or lots of cleavage are never ok.
As a schoolteacher, I dress a bit more conservatively at school anyway, regardless of where I live. I teach small children and there’s only so much leg that they need to see. However, I have my tattoos visible on a daily basis, and that doesn’t seem to cause any problems. I wear what I would normally on a night out. There’s no problem hiking in shorts, but there is a problem wearing shorts in a nice restaurant. I’ve never heard of any kind of religious police monitoring this like I know other countries have, but the attention/looks of shame you get from others would be enough to help you figure out quickly what is acceptable here and what isn’t. What I wear on a normal day exploring Oman. Q. What other countries have you visited in the Middle East, and can you tell us a little bit about them? A. To be honest, not very many – only Egypt, UAE, and Bahrain. I’ve loved each place on its own right, but they are all so vastly different to each other. 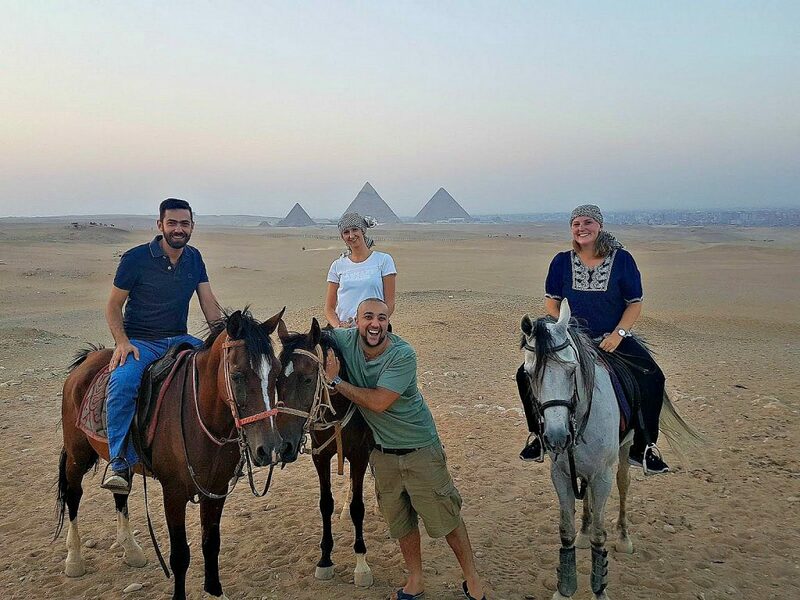 I’ve been to Egypt twice now, and Egypt is an entirely different world to Oman. 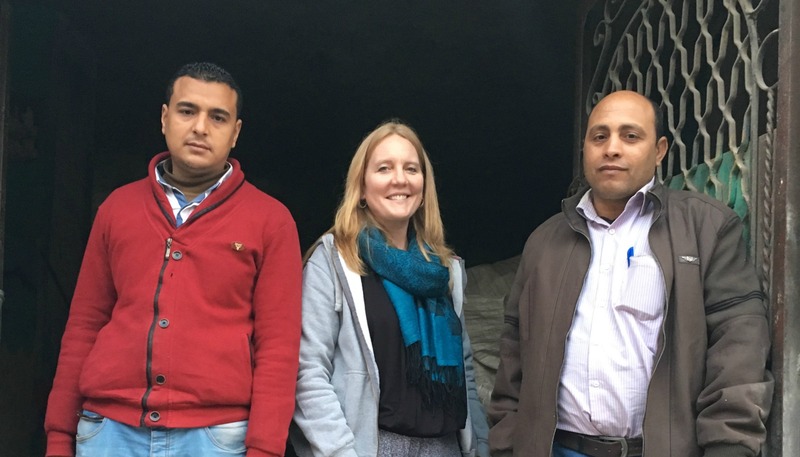 Egypt is a loud, chaotic, smelly place with little law and order but a lot of passion, with some of the most beautiful welcoming souls I have ever met. Dubai in the UAE is just a rush of development, everyone competing to have the latest, greatest, and most expensive thing amidst a range of skyscrapers. 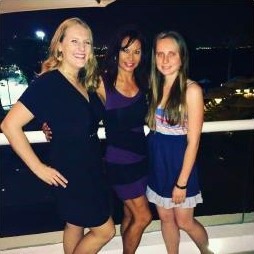 Bahrain doesn’t have much to do beyond partying at a few places, but some of my favorite people in the world live there and we always manage to have a good time. Oman on the other hand, has peace and quiet even in the heart of its busiest city, with natural God-given beauty of stark mountains and beautiful green oases, with just enough nightlife to satisfy its foreign and young populations without being overrun by it. I might be biased, but it’s my favorite of the places I’ve been to. Q. 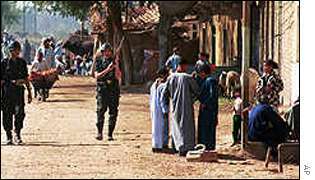 How do your friends and family at home react to what you tell them about your experiences in the Middle East? A. I think for a lot of people back home, the Middle East is one place. Just “The Middle East” and images of fighting in Iraq, Afghanistan and Syria pop up. For some, they can’t understand that Oman and Syria are as far away from each other (politically, geographically, culturally), like France is to Finland. People seem to think that as a female expat in Oman I am living in, or at least am close to, some kind of active war zone. Yes, Oman is next to Yemen, but the country makes a lot of effort to keep Yemen’s problems out of their borders. People want to tell me I am “brave” for what I do out here but the reality is I am paid a good salary to teach at a very nice private school in a safe, peaceful society. Not exactly my definition of brave. Q. What are some ways in which life in Oman differs from the US? A. The first thing that comes to mind is the pace. Everyone and everything in Oman moves slowly. Incredibly, often frustratingly slowly. No worker, service provider, or government employee seems to have any sense of emergency. People in Oman move around like molasses, and look genuinely confused when an impatient foreigner tries to hurry them along (don’t even bother, it won’t happen). That being said, there is something nice about this slow pace of life because it takes a lot of stress off. Punctuality is not a trait that is valued in Oman, so there’s no need to rush. Aside from that, living in an Islamic state definitely has its own feel. The call to prayer sounds off five times a day, and the men and women are covered head to toe (Omani men usually have a hat called a kumaa) on. Gender equality is much like what I imagine the 50’s used to be: women are expected to get married young, have lots of babies, and be homemakers. There are a few bold ones who are sort of breaking that mold, but for the most part, Omani women are focused on their familial roles. Men usually aren’t very much a part of that. While you will see lots of Omani men at bars, you’ll very, very rarely see Omani women. There is a strong concept of “reputation” here that could impede a woman’s ability to be a good wife/mother if she’s caught doing something haram [forbidden by the Quran]. For some reason, this rule doesn’t seem to apply to the men. Also, everyone has domestic help. Laborers from Southeast Asia work for very little, so almost all of my students have live-in nannies that are their primary caregivers, and the construction workers on the side of the road are all immigrants. Omanis hire foreigners to build their country, and now almost half of the entire population are immigrants/expats. Q. What are some of the most interesting or enlightening things that you’ve learned about Omani culture? A. Omanis are known for being the most hospitable culture in the Gulf countries, and my own experience has to say that is true. They are overjoyed to share their food, their culture, favors, whatever – all without expecting anything back. I have been overwhelmed by the kindness of people. For the most part, they don’t seem to have much concept of “stranger danger” as we do in the US, and unlike back home, one never has to worry about someone pulling a weapon on you, even in the downtown city area. Something that I’ve found particularly interesting in Oman is how much Omanis love their Sultan. They genuinely love him. I’ve never lived in a ruling monarchy before, but as an American, I assumed everyone wants democracy like us. However, Sultan Qaboos has been ruling the country for 46 years, and has helped usher it into the modern age while still preserving its ancient country without being bloody or repressive. He has somehow managed to keep the country out of all of the conflicts that have riddled this region for decades. He allows a lot of freedom to foreigners, and promotes tolerance of other religions. Also, fun fact: Shia and Sunni Muslims coexist and even pray together peacefully. In other parts of the world, they are actively killing each other. Q. Many people in the outside world think of Middle Eastern Muslim women as being oppressed. As a Western woman who is around Omani women every day, does this seem to be true? A. Oppressed has such a negative connation, and I think is the wrong word. I wouldn’t say Omani women are oppressed, but I do view them as sheltered. It’s changing now as some women are starting to travel and go overseas, but women genuinely believe that their lifestyle is the correct one, don’t consider alternatives and use a lot of religious writings to back it up. 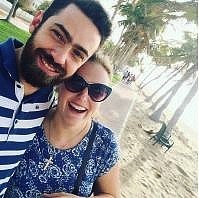 As a Western feminist, I find the mindset of only living to get married and have babies problematic, but most women here are perfectly happy without a career or aspirations outside the home. Most see family work as noble work, and they aren’t necessarily wrong. It’s hard being a mother, especially since a lot of women here have big families –like 5 to 10 children. At my school, a lot of Omani women are teaching assistants, but not actually teachers. This is because there is a lack of training programs for women in the country, but I hear that is something the government is working on. Most of the women working don’t need to but are bored at home and like to come in. One coworker told me her husband doesn’t like her to work and stay away from the kids, but she does anyway. If she was oppressed I think her husband would have the final say, but as it is a lot of the women laugh about their husbands and do what they want anyway. The hijab has nothing to do with oppression. The majority of women here wear it, but there are a few who do not. It seems to me it comes down to how they interpret the Quran or how important that is to them. It seems to be personal/cultural preference, but most I ask who do wear it would never dream of taking it off. Q. 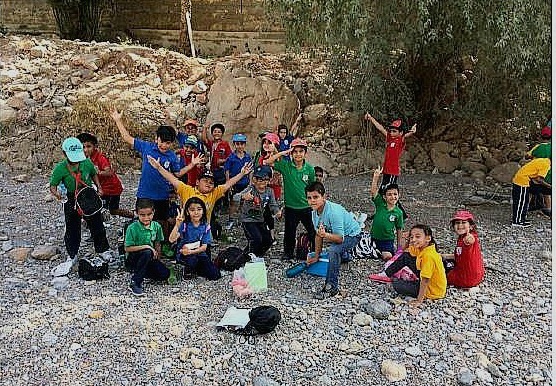 How many children are you teaching in Oman and what are their ages? A. I teach Grade 2 in an international primary school. The class size limit is 25 students, and their ages are between 6 and 8 years old. The children are a range of nationalities and religions, most are bilingual if not trilingual. I have an Arabic Omani assistant in the classroom, but for the most part the students are fluent in English. It is a wonderful learning environment as the children are taught about tolerance and acceptance of different beliefs at such a young age. Q. Do your students ask you any questions about your country or your culture? What do they think about the Western world? A. 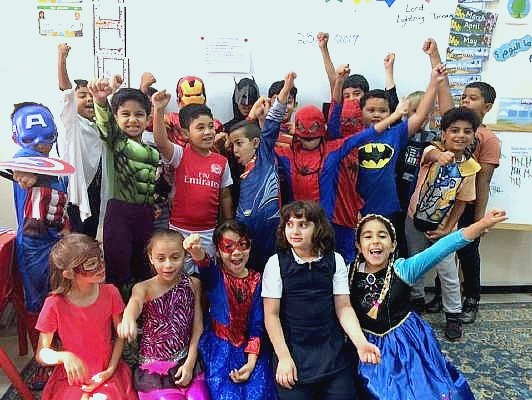 Teaching in the Middle East during this past election wasn’t easy. Being the only American at my school meant I got a lot of questions. Soon after Trump released his statement about wanting to issue a Muslim ban, I had students asking me things like “Miss, am I allowed to come to your country?” And “Why does Trump not like us?” Hard stuff to try to talk to a seven year old about, but sadly most of the questions I get about the USA is about Trump’s stance towards Muslims. As far as culture goes, American culture is pretty well exported, and most students know about the latest kids shows, songs and movies. Despicable Me 3 was huge when it came out. Boss Baby was the talk of the town. They know all the new Beiber hits. It seems a bit contradictory to me that these students are told that women should be modest but then the little girls are dancing to the latest Shakira and Rihanna songs. However, I suppose you get that contradiction everywhere. Q. What is the most surprising aspect of Oman that you’ve encountered? A. The driving. For being such a slow, sleepy place, people are exceptionally dangerously fast drivers on the road. If you are going “too slow” a car will come up within inches of your bumper and tail you down the road until you change lanes. People will change lanes frequently without any kind of indication and weave through traffic like its Mario Kart. You always have to be super alert on the roads here. Q. What do you think of Omani food? Are there any dishes that you particularly like? A. I’m probably not the best person to ask about this question, because I don’t often eat Omani food. The best restaurants in town are Turkish or Lebanese food. However, Oman has very nice biryani rice dishes. My favorite meat dish is lamb shuwa, which they prepare with special spices, wrapped in palm fronds, and cooked in a pit in the sand. The meat becomes so tender it practically melts in your mouth! Q. Islam forbids alcohol. Are alcoholic beverages readily available in Oman or hard to find? A. Alcohol is pretty easy to get for a foreigner, you simply have to register for a “liquor license” and you can buy your own stuff. This sets a limit for how much you can buy each month, but you can choose the limit. I have mine for 40 Omani Riyal (about 100$) and I almost never use all of it. There are liquor stores all over Muscat. If you don’t have a license, you can still go to any major hotel and there will be a bar available. Drinks are like triple the price, but considering you’re in an Islamic country, it doesn’t seem too bad. Q. 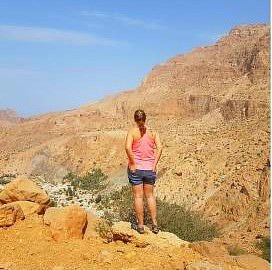 Are you able to have any adventures as a female expat in Oman? What do you do for fun? A. Oh boy, do I have adventures?! It’s so funny because I’m sitting down to write this after I just got back from a dolphin watching and snorkeling tour. There were so many dolphins, and while you couldn’t swim with them, they were close enough to touch and kept jumping into the air to show off for our boat. There is SO MUCH to do in Oman. It really is an outdoorsy kind of place. On any given weekend, friends and I will generally have a day of hiking and a day swimming at the beach. Scuba diving is also very good here, and while I have never done it, people also love to go dune bashing on quad bikes on the dune next to my apartment. Oman has a lot of natural beauty, and the Omanis and foreigners alike know how to take advantage of it. That plus endless sunshine means that camping trips or beach days rarely have to be canceled! Q. You were baptized as a Christian this summer. Has living in Oman brought you closer to Jesus or do you think you would have been baptized anyway? A. I believe God brought me to Oman to help me find Him again. Growing up I had always been Christian, but my family believes baptism is a choice, so I was never forced into it. My faith started slipping away in college as I developed new habits and met unbelieving friends, and by the time I moved abroad I would say I was a non-practicing Christian at best, but really probably more of an agnostic. I simply wasn’t sure exactly what I believed. Oman has been the first time I had ever experienced living in an openly religious society (you know, it’s such a taboo topic back home). People frequently invoke God (Allah)’s name and are constantly performing their rituals and practices in very public ways. It forced me to reexamine what I believed, and as I discovered more about Islam from coworkers, students, and my boyfriend, I wanted to learn more about Christianity. So, I went back to the Bible and read it with fresh eyes. I started to go to church and met a wonderful community of believers of all ages, from all over the world, with a myriad of backgrounds and stories. Living in this desert environment helped some of the ancient stories which had always seemed so archaic as a child become much more real. As I read and discussed theology, I really found myself falling in love with Christ (that really is the best way I can describe it, apologies if it comes out cheesy). For me, I truly believe He is the way, the truth, and the life. And so, after a year of growing and exploring in Oman, I decided to make an outer statement about my inner commitment to follow Jesus and I got baptized. Q. Your boyfriend is Muslim. How did he react to your baptism? A. Let me just say that I have a wonderful boyfriend (again, I know I’m biased). What a lot of people don’t know is that in Islam, Christians and Jews are respected. After all, we’re all children of Abraham! My boyfriend has never once discouraged me from reading the Bible, praying, or going to church. He has patiently answered all of my questions about Islam and even asked a few of his own about my faith, sending me back to the Bible and God each time. That all being said, my boyfriend was cautiously supportive. He made it known that he wasn’t that excited about my “Christianization”, as he termed it. Yet while he didn’t see the baptism itself, he did come and listen to the testimony. He respects my faith and encourages me to practice it, but is also disappointed that I don’t believe in Mohammed or the Quran. We’re both not so secretly holding out that the other will find the true path, but trying to respect each other’s religious beliefs in the meantime. I don’t know if this will result in long-term success or failure, but it’s the kind of compromise we’ve been able to work with so far. Here’s my handsome guy and I at the beach in Muscat. Q. What are some of the primary misconceptions about the Middle East that you’ve discovered by living as a female expat in Oman? A. Well, for one thing, religious freedom is allowed. No, people here are not all members of ISIS trying to kill Christians. I walk around with cross jewelry and a cross tattoo with no issues or harassment. Speaking of no issues or harassment, I’ve never been harassed or commented on about something that I am wearing. With the exception of wearing shorts less on a hot day out, I don’t dress all that differently from how I do at home. I remember when I first expressed my plans of going to live in the Middle East, my parents were terrified for me as a “blonde American with a cross tattoo”. However, I have had far less issues with security or safety than my sister in Italy has. I live a very secure, safe, comfortable life here, and I’m not alone in that. Q. Has life as a female expat in Oman changed you at all? If so, how? A. My time in Asia taught me how to rely on myself, trust my instincts, and go with the flow because I never could quite figure out what was going on. It was sensory overload. 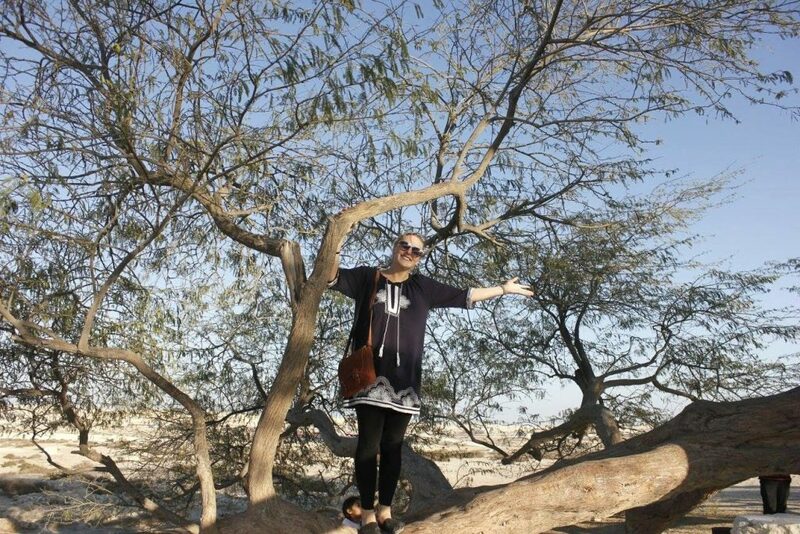 Oman has taught me how to be calm. How to enjoy the little moments in life. Too often I give in to feeling rushed and busy and anxious as thoughts run everywhere through my head, but something about the ability to just pop over to the beach on a beautiful, hot, sunny day helps calm all of that. I think Oman has helped me to be content with what I have, and happy with where I am in life. Q. The Middle East is the least understood and most feared region in the world. Now that you have lived in and traveled around the Middle East, you understand this part of the world more than most people. What would you like to tell the world about the real Middle East? A. Stop being scared! Like really, stop it. People in the Middle East are just that: people. They laugh, cry and love just like the rest of us. I have met some of the warmest and most welcoming people on this planet here, and it’s beyond unfair to judge the vast majority by the minority. I certainly don’t like to be mistaken for a neo-Nazi, and I’m sure most white Christians agree. Stop thinking all Muslims are terrorists, because they aren’t. When you’re scared you miss out on some incredible history, culture, food, and fun. Do your research. There are countries at war today, but there are lots more that aren’t. Don’t go to a war zone, get advice before you travel, talk to someone who’s been there, and you’ll be fine. Oman is not Iraq. Dubai is not Afghanistan. Jordan is not Syria. True fact: Your chance of being killed by terrorism is much higher in America than in Oman. I wish more people from the US would travel to the Middle East because it would do a lot of good to dispel misconceptions and misunderstandings that have led to a lot of problems. I, for one, love where I am in Oman, and feel so lucky to have the opportunity to live here. Brooke Templin is a 26-year old American originally from Pittsburgh, Pennsylvania. She traveled overseas for the first time when she was 15 and didn’t want to stop. She’s since been to 20 different countries, living for at least a year in China, Vietnam, and now Oman. You can read more Brooke, her travels and her teaching at Finding Path B. Really appreciate this as I’ve started considering teaching in the Middle East, specifically Oman, and I’m a single woman. Brooke, can I ask what recruiter you used and if you’d recommend them (I’m guessing yes, but just curious 🙂 )? We are glad to read such honest articles. 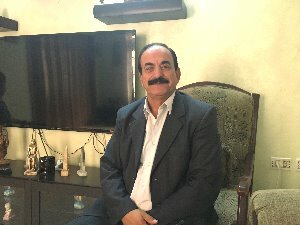 I am 57 and have considered teaching English at the university level in Oman. I am a runner, and am most concerned that I won’t be able to run in running shorts and a tank top. Are there running paths (dirt paths are the best for aging knees)? Would I be ostracized for wearing running clothes? Also, I enjoy drinking wine. With your liquor license, is wine readily available? Thanks for replying to my questions! I had a friend who used to run 15 km a day (a bit extreme in my opinion) but as for what she wore and what I wear when I go for a job no…it isn’t shorts and a tank top. But it is jogging leggings and an athletic T-shirt. Aside from one whistle I’ve gotten in three years, I’ve never had an incident and I’ve never heard any of my other running friends have issues either. It’s safe. I wear leggings and sleeves with a slight shoulder for my own security. Trust me, when you see NO ONE else in shorts, you feel a little weird in shorts yourself. As for wine, yes easily available. Everything is available here. You just can’t drink as much as you’d normally. A cheaper bottle of wine costs 5-10 OR and most licenses are 40 to 50 OR for a month. Just be prepared to budget and plan ahead when it comes to liquor. But if you run out, there’s plenty of bars where you can get a nice glass though you’ll be looking about 4 to 6 OR a glass. Hi! I really enjoyed this article. I have an offer to teach in Muscat. I am very happy with the contract (which would start early Dec. 2018), but I have recently been told that I would have to buy a car once I arrive. I wasn’t planning on that. I have taught overseas in many places and have always walked or taken taxis or buses. Your thoughts? By the way, I am originally from Erie, PA! Looking forward to hearing from you! Thanks. You makes me really happy and loving my country more and more. Thanks for the honest feedback about oman and Omani people. I would be much happier if really meet such of you if anyone can help me to make freindship and improve my English language skills as i really wanted to have.